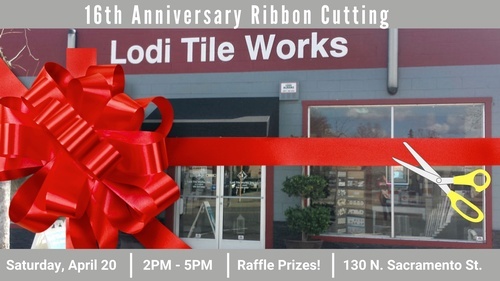 Lodi Tile Works is celebrating 16 years in business! Join us Saturday, April 20 from 2PM - 5PM for a ribbon cutting. Five Windows Beer Co, Oak Farms, and Estate Crush will be pouring.